Computers from Apple don’t only have a creative design, but are also capable of inspiring those who see them into making creative things. 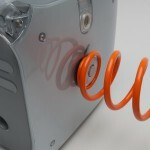 There were many (and probably will be much more ;)) modding projects based on enclosures from old Apple computers, but things aren’t limited only to modding projects and the latest project from re:form designs is a good example of that. 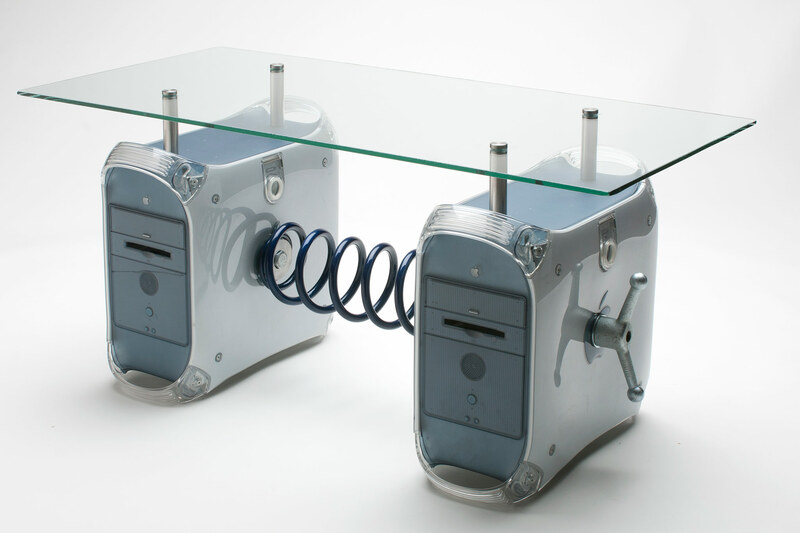 The guys at re:form designs decided to use cases from old Apple computers for an entirely different purpose — to make stylish tables. Nope, we’re not talking about those table-enclosures for PCs — just regular coffee table for the living room ;). The design or materials of this table shouldn’t surprise anybody, since re:form designs specializes at so-called upcycling, i.e. making stylish things out of materials that would otherwise end up at the nearest dump. 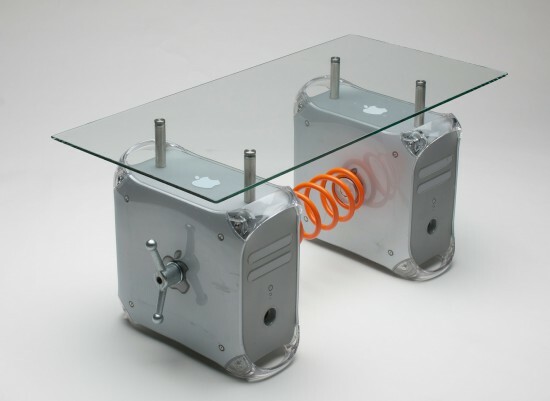 To create the stylish Crunching Numbers G4 coffee table, the guys at re:form designs utilize two tower cases from Apple’s PowerMac G4 computers, a sheet of glass and a spring straight out of car’s suspension system, as well as some other parts. 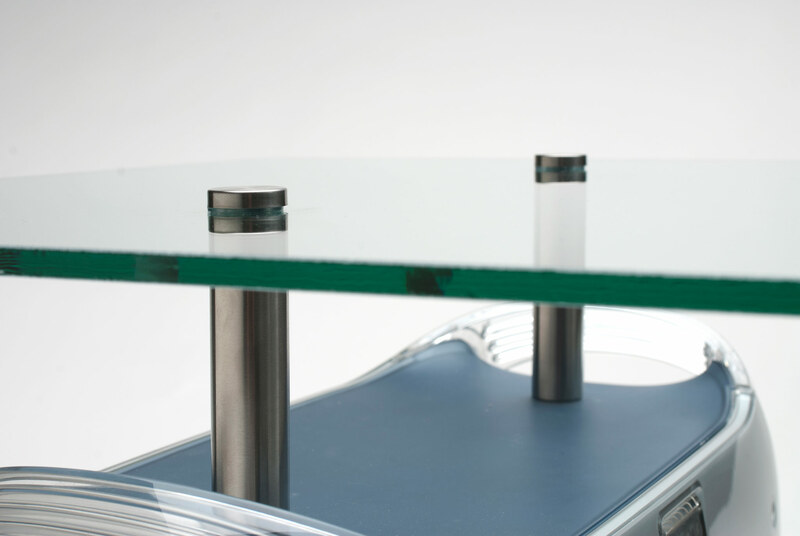 Because of this, 70% of materials used in the creation of this table are re-used materials. 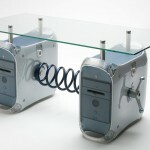 Besides using the PowerMac G4 computers as materials for their tables, re:form designs also produces another line of tables that are made form older PowerMac G3 computers. 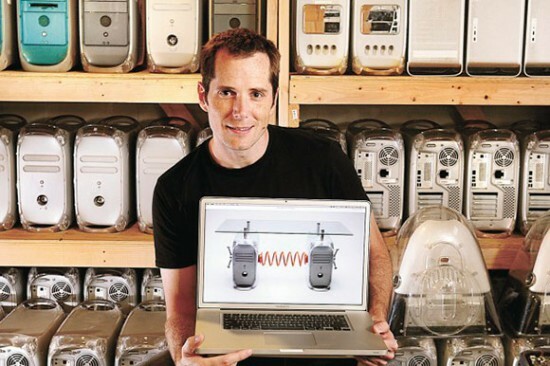 Judging by the photo, which clearly shows that they also have more modern Power Mac G5 computers, it’s probably only a matter of time until they will use them and produce another line of their tables. 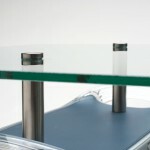 The price of a hand-crafted Crunching Numbers G4 coffee table is at $600, excluding taxes and shipping costs. 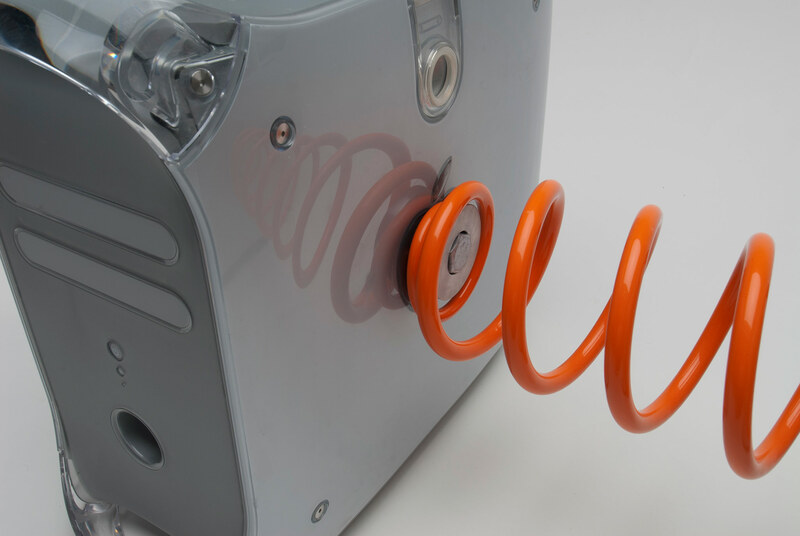 You can get all of the details and order one at the manufacturers website.